Janet moved with her family to Long Beach from the Midwest in 1971. She attended neighborhood schools: Lowell, Rogers, and Wilson before graduating from Excelsior College (formerly Regent’s College) in New York. For 16 years, she was a partner and Operations Manager of an Employee Leasing Company, Western Labor Leasing, before moving to Vienna Austria and Dubai UAE. She returned to Long Beach in 2010 and is now living in the house in which she grew up. Her thirteen years abroad instilled a love of both travel (two favorite destinations are the Galapagos Islands and Petra, Jordan) and community service. She wrote, taught the Orientation to Vienna class for 7 years and served on many boards including a two-year term as Fundraising/Development Chair for The FAWCO Foundation, a global network of social service organizations with ECOSOC status with the United Nations. She recently gained emeritus status of FAUSA Counselor after serving as Philanthropy Chair and two terms as President of FAWCO’s Alumnae Association, (a Global Repatriation organization aka FAUSA) and was proud to join a FAWCO delegation to the UN. Locally, she has been active with the Volunteer Center and has chaired two of the Operation Teddy Bear events, and actively supports Free the Girls with an annual bra drive. 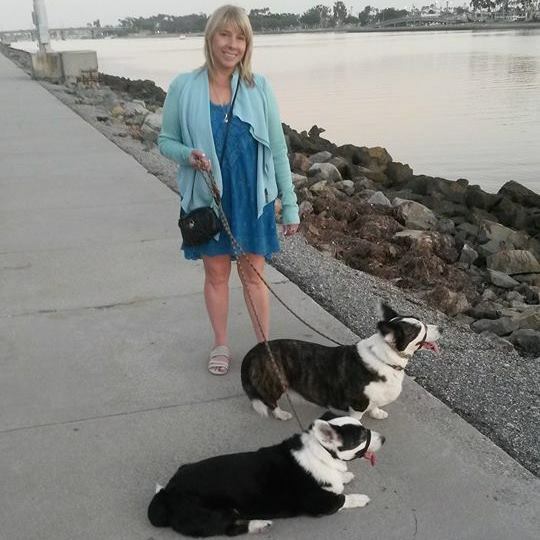 She is happy to be back in Long Beach and is enjoying her job with Keller Williams Realty Coastal Properties. Her home is in lovely Alamitos Heights where she can often be seen walking her two Cardigan Welsh Corgis and enjoying the concerts in the park. Her motto, after her moves, is “Bloom where you are planted”.